When we left Santa Ponsa, we had asked the hotel desk clerk what we should see on the island. He pointed us in the direction of Cap de Formentor, and I’m so glad he did. Cap de Formentor is one of the most breathtaking places I have ever been, partly because it was so unexpected. I really had no idea where we were going, just that we should see it, and it made the experience even more fun and surprising. From Pollença in the north, you head toward the most Northern point in Mallorca and the tip of the Serra de Tramuntana, where the rocky cliffs plunge into the Mediterranean. The road is very curvy and you are flanked by rocky mountains on one side and ocean cliffs on the other when the road becomes narrow. The car barely made it up and down the steep hills, but no one else was around, so it didn’t really matter. We were rounding the curves around sunset, which meant that the light colored rock was very pink and orange in contrast with the blue of the sky and water. It was unplanned but fortuitous for us. The narrow strip of land juts out into the sea, receiving winds from the west and east, forming sloping cliffs through erosion and weather. 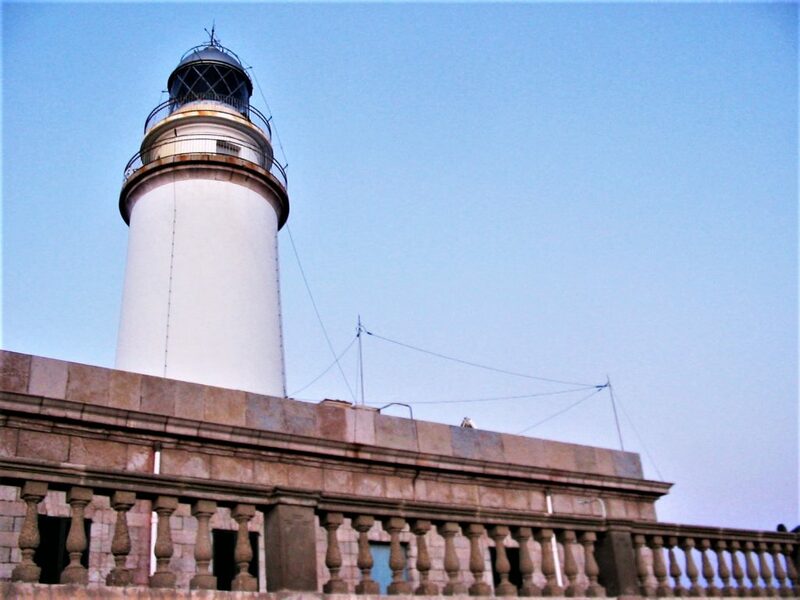 At the end of the road, you reach a lighthouse built in the 1890s. You can’t enter the lighthouse, but you can park and wander around what feels like the end of the earth. We took the lazy route and drove to the lighthouse, but many people also bike the area. 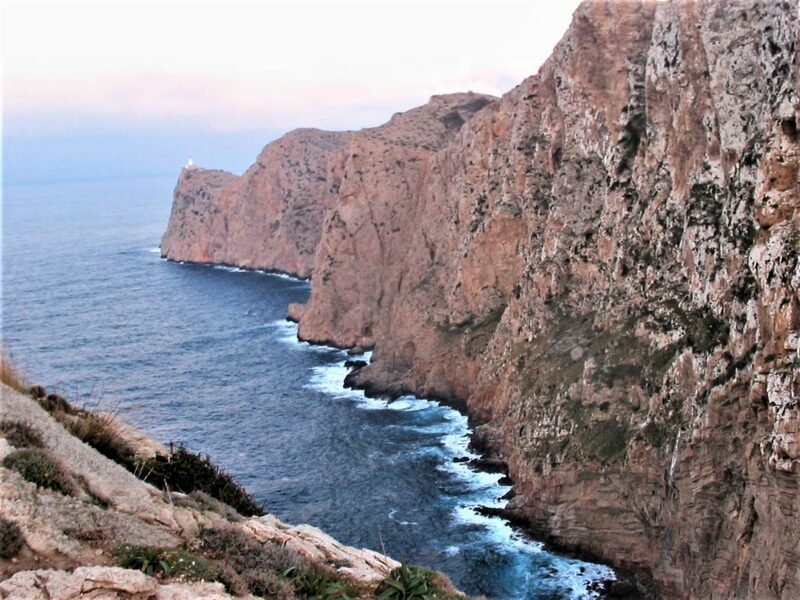 The views on the journey out to Cap de Formentor are just as much a part of the experience, so while there’s not much to do once you’re there, it is still worth the effort. The roads were built in the 1960s by an Italian engineer, Antonio Parietti, who designed them based on the wind patterns coming off the sea and the mountains in the area. His memorial is one of the landmarks in the region and can be found at the Mirador de la Creueta viewpoint on the route. There are also coves and a prehistoric cave at Racó de Xot with an opening to the sea. 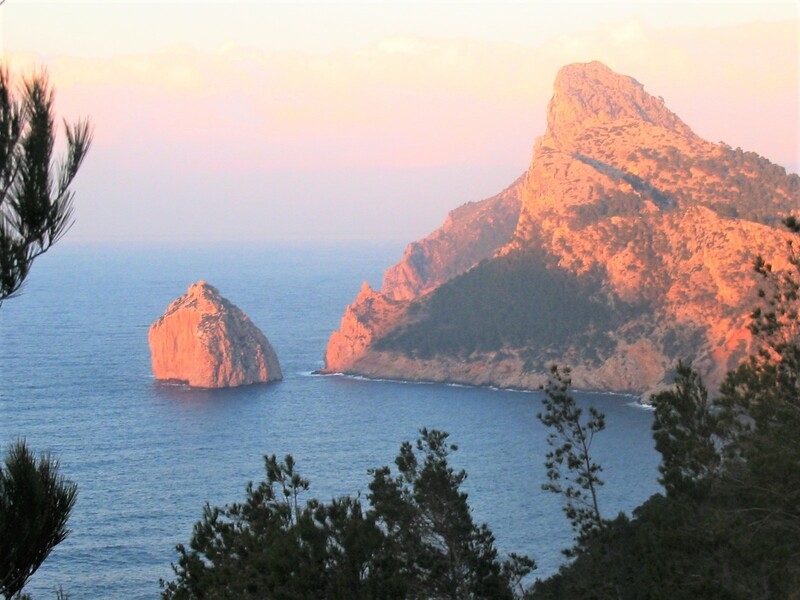 While you’re in the area, you can also visit Formentor Beach, which is in a remote location with respect to the rest of the island but easily accessible from the Hotel Formentor. The property is now owned by Barceló, but it was originally opened around 1930 and has hosted numerous prominent guests as a secluded hideaway. For winos like me, neighboring Pollença also holds an annual wine fair in April called the Fira del Vi that showcases local wines, and there are wineries of note in the area, which could provide an itinerary for a vacation to this region all on their own.